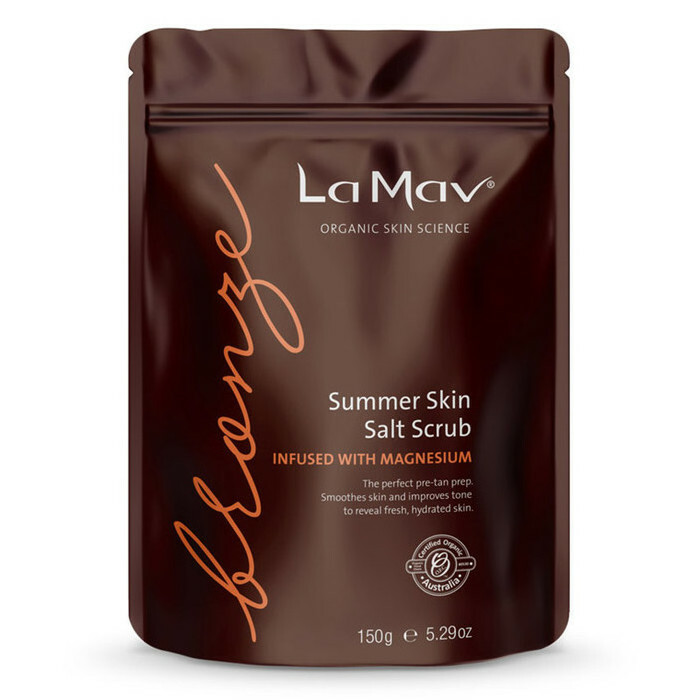 BRONZE By La Mav Summer Skin Salt Scrub helps to smooth and even your skin tone, and nourishes your skin. Pink Himalayan Salt and 20% Magnesium Chloride helps to gently buff off dead skin and removes your old tan. With regular use, the added magnesium can improve circulation and the salt scrub can reduce appearance of cellulite. Camellia Oil, Coconut Oil and Shea Butter nourish your skin, leaving it feeling refreshed and smooth. Camellia oil, Coconut Oil, Peppermint, Shea Butter. Apply to damp or dry skin. 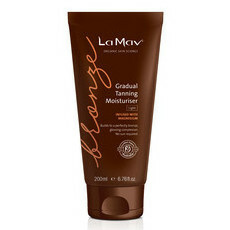 Apply a generous amount and rub over body in circular motions, concentrating on dry areas and trouble zones. Rinse and pat skin dry. Do not apply moisturiser before tanning. Ideal pre-tan prep, or use up to three times weekly for glowing skin. Beautiful body scrub. My whole family use it. Smells so fresh. Skin feels so smooth and moisturised.